I have been in Kenya, now, for over a month. It’s a strange fact to admit. It just doesn’t feel quite possible. Week four of school is winding down, but I still feel so new. So raw. So rough around the edges. I’m still figuring out the kinks in my World Lit class (when exactly, and how exactly, am I going to teach grammar? ), and still figuring out just about everything in my American Lit class (so, it turns out, jumping in with Shakespeare, while seemingly a great idea at the time—he is, after all, an author I’ve actually read—was maybe a bit of an overreach, since I’m pretty sure most of my students think they’re the ones being battered in The Tempest). How long, exactly, am I allowed to feel like I’m still finding my feet? And as for Kenya in a more general, broader sense, well, I haven’t seen a whole lot. One climb up Mt. Longonot. One trip into town to attend Mamlaka Hill Chapel and go to a mall. One trip out of town to attend St. Julian’s. And one trip back into town to go to Amani Ya Juu. Yep, that’s pretty much the extent of it. 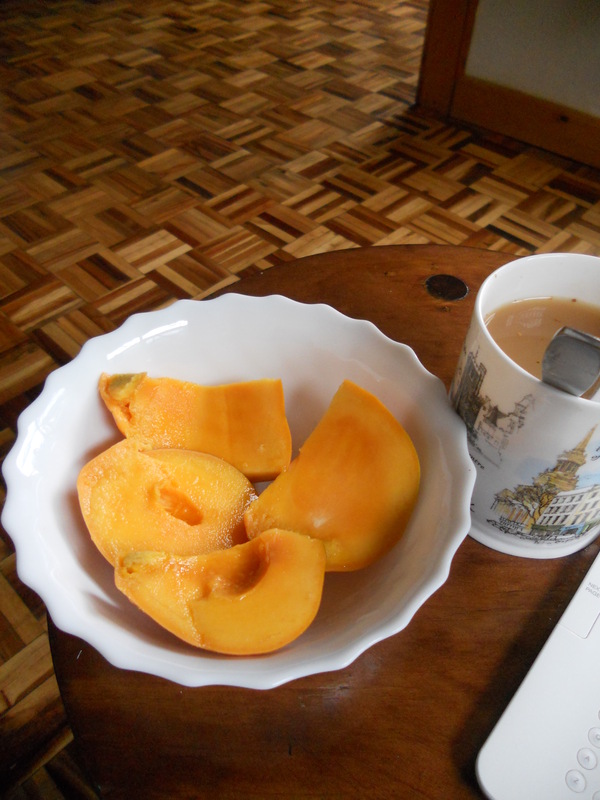 And so far, the best thing has probably been the mangos. One or two per day, juicy and sweet, and a great side to a dish of my fabulous (if I do say so myself) ginger and honey stir fry–made with mountains of garlic, a handful of chili flakes, thinly sliced zucchini, carrots, brocolli, peppers, and snowpeas, some soy sauce, and rice or noodles, depending on my mood. And, well, my students. They’ve been pretty fabulous, too. Though learning a hundred new names and faces? Not easy, kids, not easy. And the worst thing? That would have to be the internet. I threatened before I came to forgo internet entirely, of my own free will. To limit its access to school, rather than my home, and thus, somehow, increase productivity. And maybe it would, if I really didn’t have internet, and knew I didn’t have internet. The problem is, I supposedly do. And thus waste far too much time trying to make it work. Trying to eek out a facebook message, or a Skype call, or simply load my email’s homepage. I haven’t talked to my parents since my first week here, and haven’t talked to anyone else in my family at all. Not even on my birthday. And I will admit that it’s beginning to get a little old. But the thing about teaching is you really don’t have time to sulk. Or catch your breath. Or figure out the kinks. Because the days keep rolling, whether you roll with them or not. I’m on the escalator, folks, and I think it’s entirely too late to be getting off.